Dr. Jeanne Laberge is a well-known interventional radiologist in San Francisco, California. She received her medical degree from the University of Utah School of Medicine in 1980. After getting her medical diploma, she completed an internship at Letterman Army Medical Center. Dr. Laberge completed her medical education with a residency in radiology at the University of California San Francisco, School of Medicine. She is certified by the American Board in diagnostic radiology, vascular & interventional radiology and her subspecialty is general radiology. 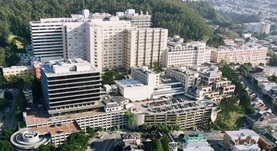 This doctor is affiliated with San Francisco General Hospital and Trauma Center, UCSF Medical Center and San Francisco Veterans Affairs Medical Center. She was awarded the honors SIR Fellow and Regional Top Doctor in 2014. She has published a huge number of articles in collaboration with other doctors. Dr. Jeanne Laberge has contributed to 3 publications. The inferior emissary vein: a reliable landmark for right adrenal vein sampling. Kohi, M. P.,Agarwal, V. K.,Naeger, D. M.,Taylor, A. G.,Kolli, K. P.,Fidelman, N.,Laberge, J. M.,Kerlan, R. K.; Acta Radiol. 2014 Apr 01.